We spent the afternoon walking along the Virgin River, and came across this beautiful scene that looks like the Garden of Eden. Beautiful green, rushing river, blue skies, paradise. While Chris was busy photographing the lovely scenery, I sat by the river enjoying the plantlife growing all around me. 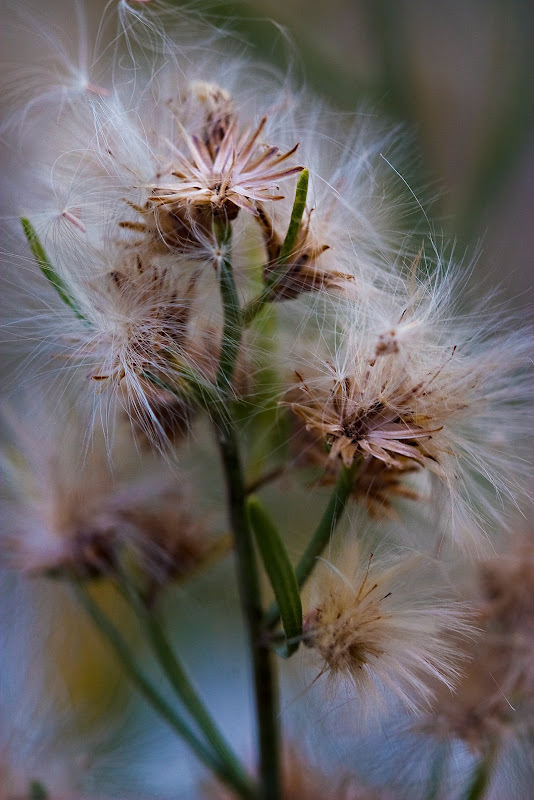 I know, it looks like a weed - but the whimsical nature of the seeds blowing off the plant in the breeze reminds me of the beauty I found in nature as a child. Soft, small, magical. 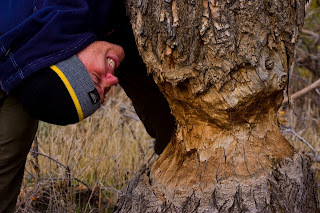 Chris looks kind of like a beaver as he leans closer to inspect this beaver-knawed tree. 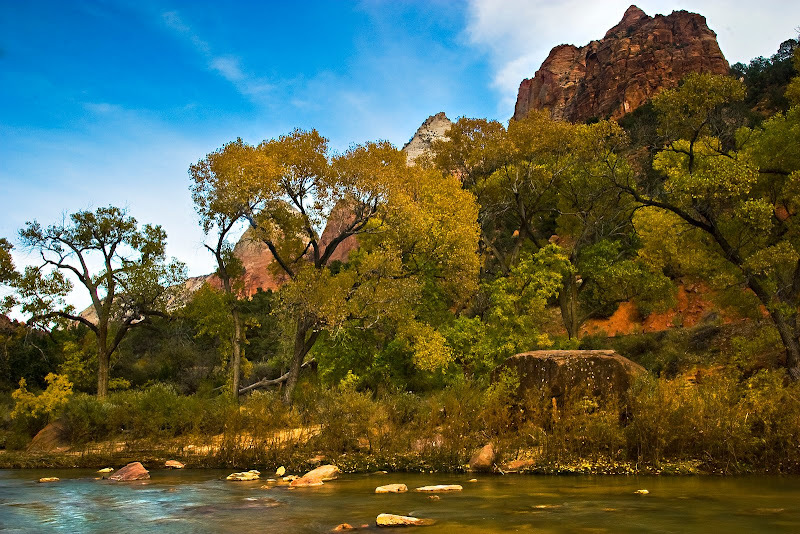 Beavers are rarely seen in Zion, as they are mostly active at night, but signs of beavers can be seen near the Virgin River.